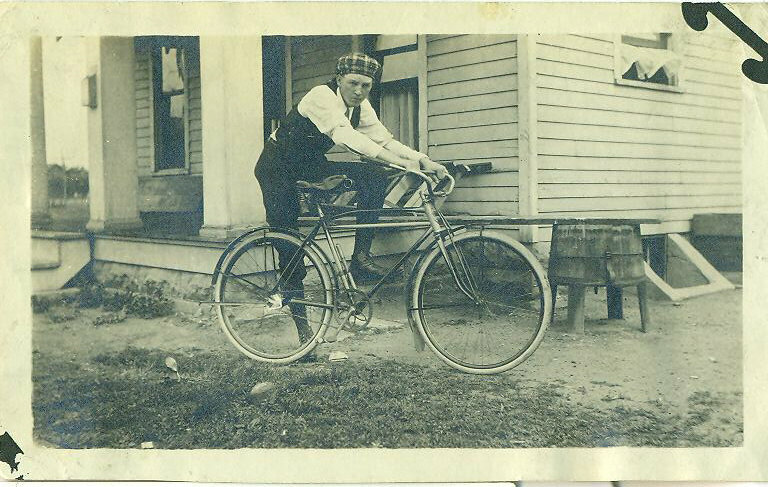 This original photograph from the mid 1910’s to 1920’s shows a young man posing with his Sears Chief bicycle. The kid looks like he has some attitude, and why shouldn’t he? He has a top of the line Sears Chief! NOTE: A better quality scan will be coming for this picture, so check back later.